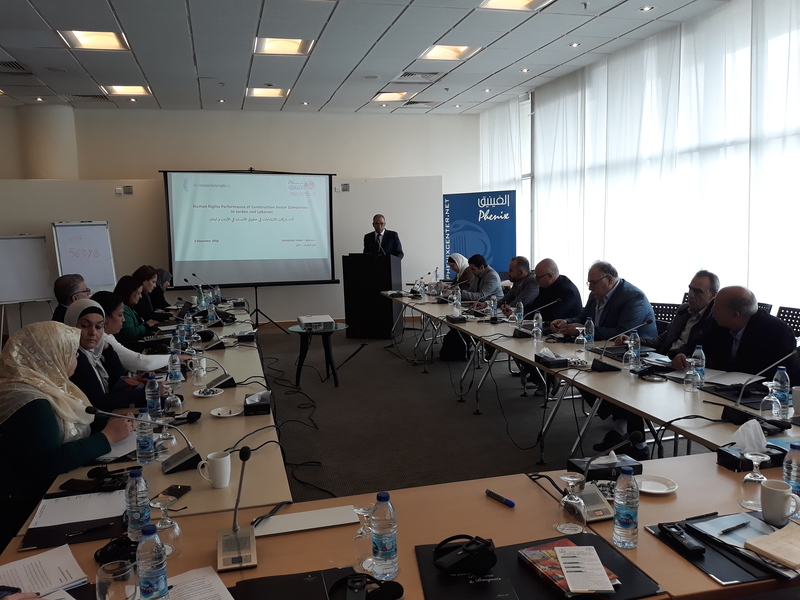 The Phenix Center for Economic Studies and the Business & Human Rights Resource Center held a workshop last Monday on the respect of human rights standards, especially the labor standards in the construction sector in Jordan and Lebanon. During the workshop, several presentations were presented, including the criteria used to protect the rights of workers in the supply chain in the construction sector as one of the sectors where the supply chain is numerous. The majority of workers in the construction sector in Jordan and Lebanon are subjected to numerous violations linked to various international labor standards, one of the sectors where migrant labor is intensifying in both countries. The workshop recommended the need to develop business-level policies to deal with workers at each tier of supply chains based on national legislation and relevant international standards. The workshop called for the commitment of companies operating in this sector to provide work contracts for all workers and at each tier of the supply chain, including copies of contracts in foreign languages. The workshop was attended by the Director of the Business & Human Rights Resource Centre and his deputy and director of the Phenix Center for Economic and Informatics Studies, its Programme Manager in Jordan and Lebanon in addition to a number of experts, trade unionists and human rights defenders from Jordan and Lebanon.